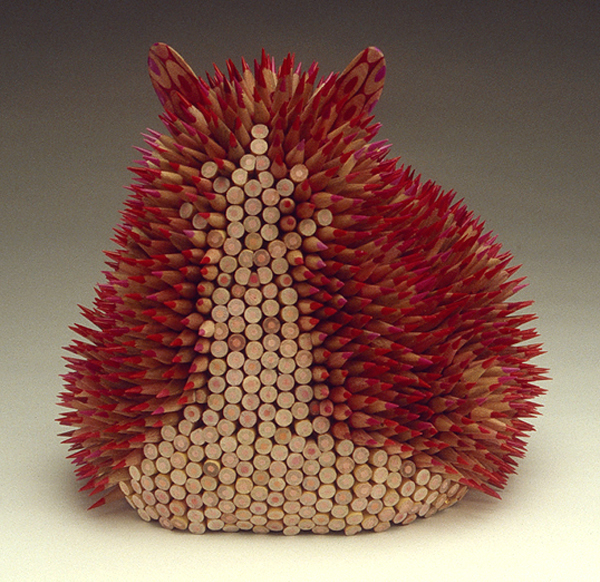 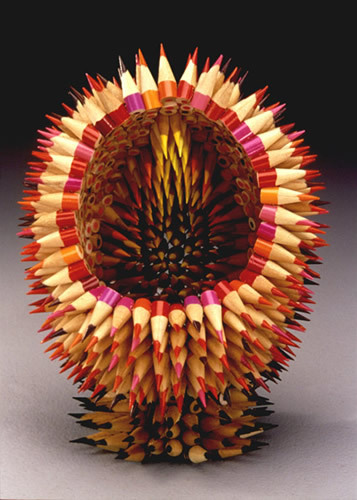 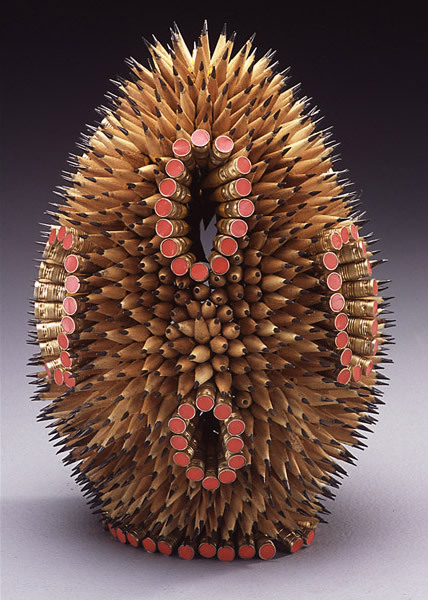 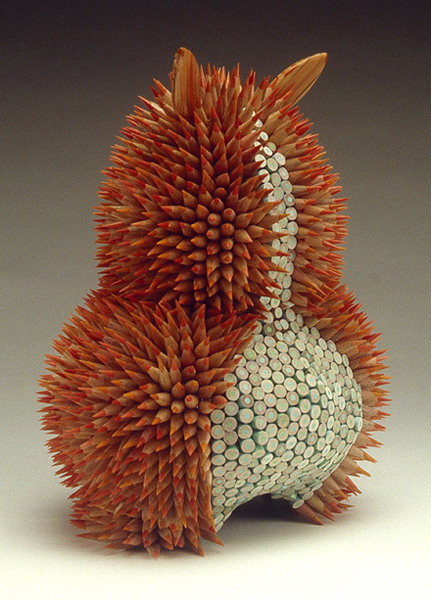 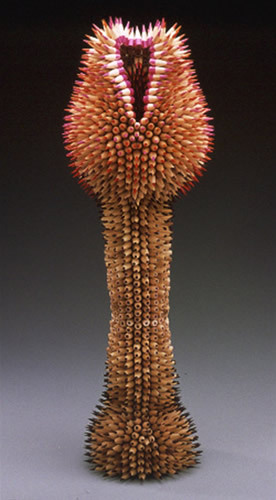 In this post I have a collection of some amazing pencil sculptures made by Jeniffer Maestre. 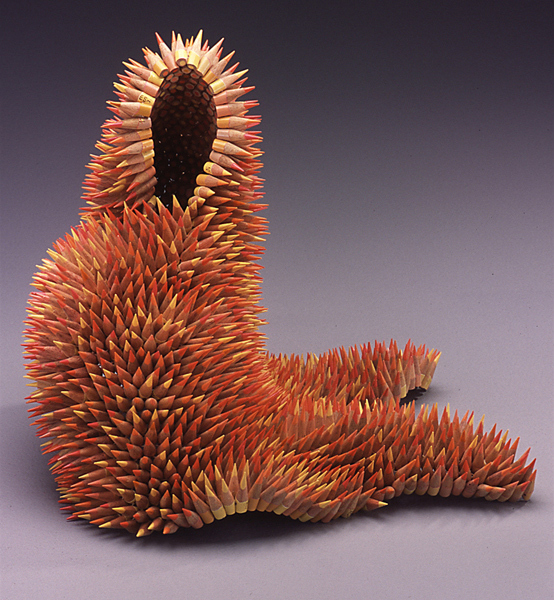 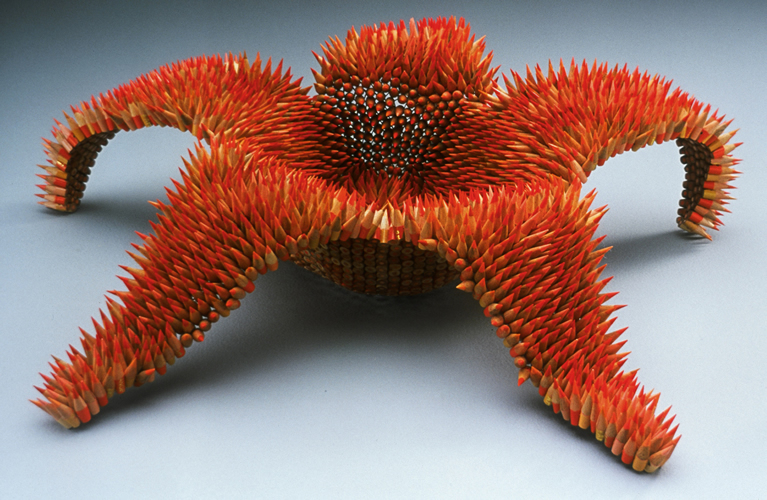 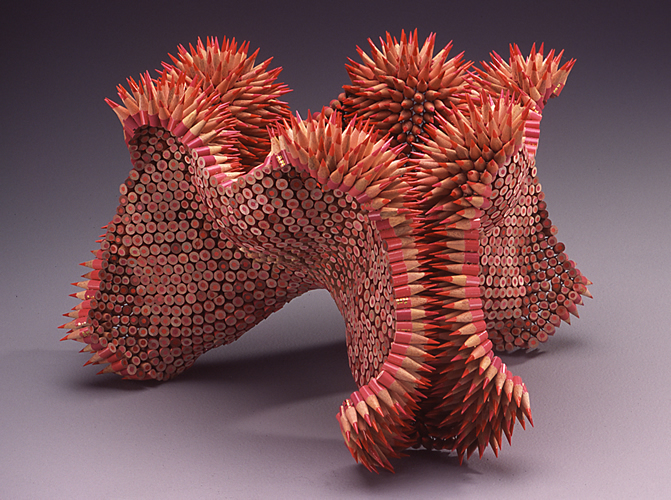 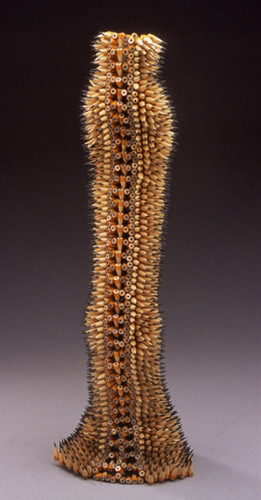 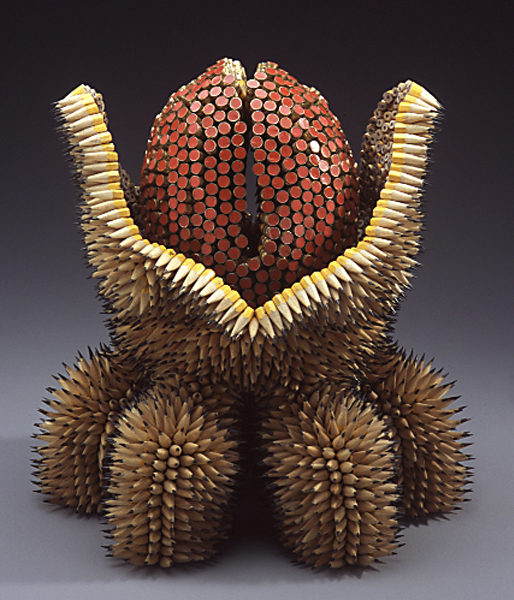 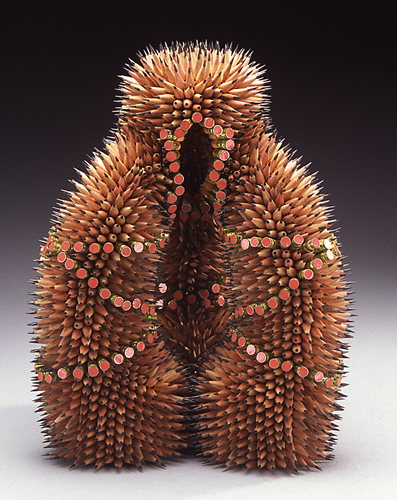 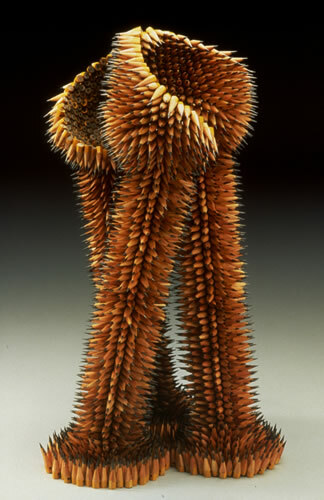 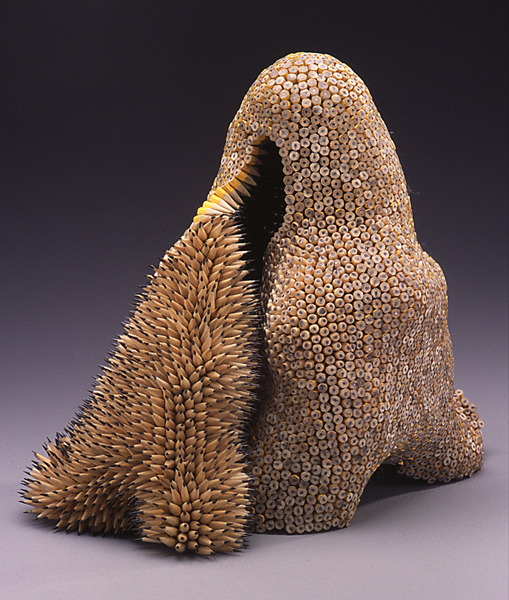 These sculptures where originally inspired by the form and function of the sea urchin. 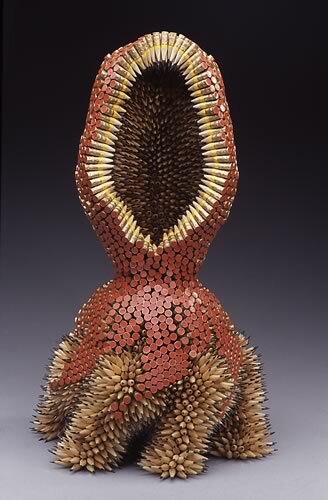 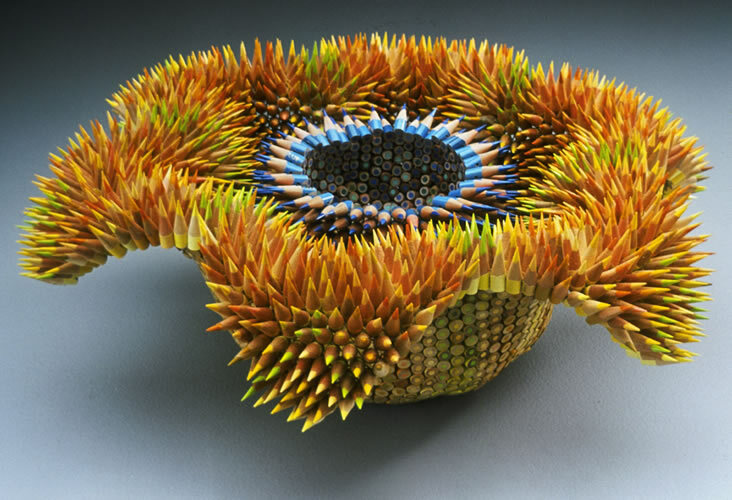 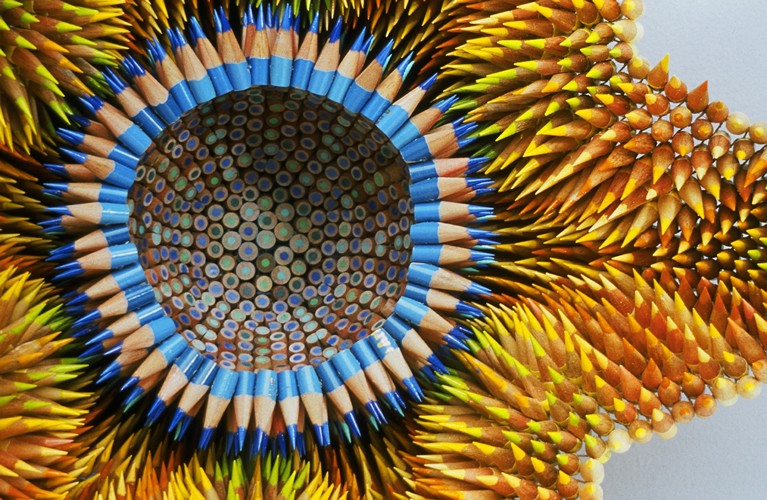 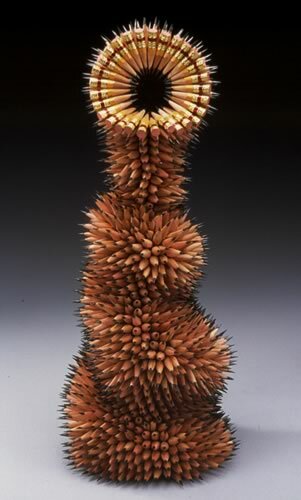 To make these sculptures Jennifier takes hundreds of pencils, cuts them into 1-inch sections, drills a hole in each section to turn them into beads, sharpens them and sews them together. 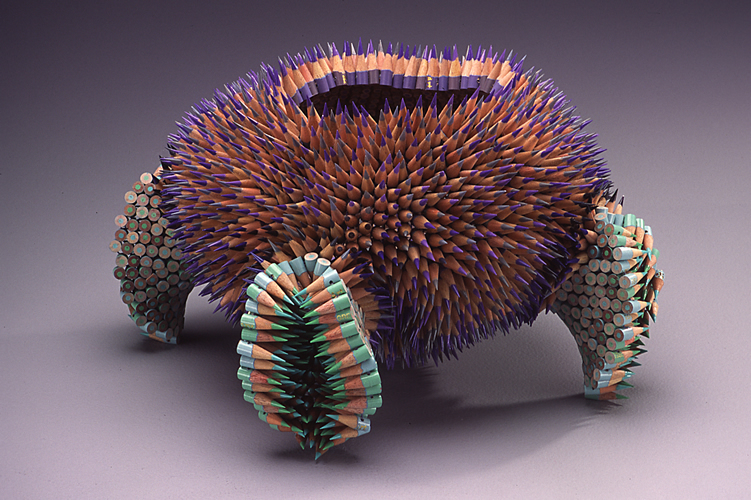 In this posts some results of that process.